Is the old place half empty or half full? 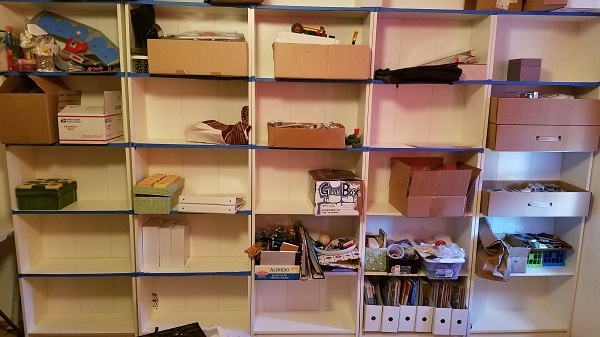 With three carloads, I cleared out many of these shelves, brought a storage rack over, and though the spare bedroom is a mess, things are shaping up well. I wonder how the old place will look in another three carloads? Or two truckloads? One of my new neighbors suggested I rent a truck – and I probably should – it’s just I know how to drive my car well and when I’m going by myself I can load and unload a reasonable amount before I’m sufficiently tired. Renting a truck would make more sense if I had helpers. I have two friends with trucks that are willing to help, so that’s a nice relief. I guess I just want to clear the space out for them. 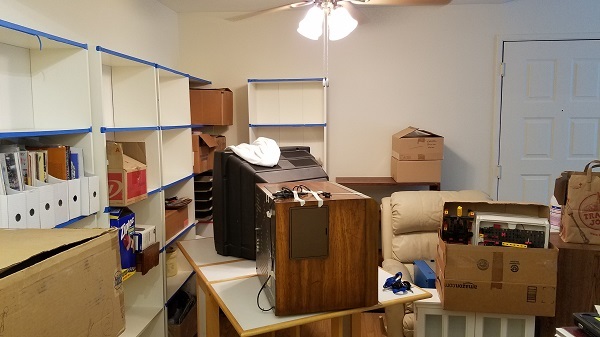 The more we focus the trucks on moving the furniture and anything I can’t bring over in a car, the more I can pick up the smaller boxes toward the end. 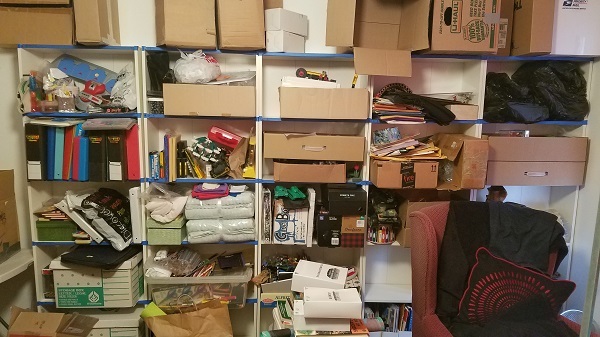 As I look around the living room and into the bedrooms, I wonder: will it be two truckloads and five carloads? Ten? Twenty? I woke up with a headache, mainly because I’m dehydrated even now, and I’m having trouble focusing on anything enough to write or pack. Maybe this is my body’s way of telling me to slow down. I weighed in at three pounds heavier than last week, so the physical and mental stress is kicking into high gear. Yet this is the home stretch. If I don’t crash and burn, if I don’t wreck my car or anything major in the next week, then it’s smooth sailing. My head hurts from the lights, too, so that’s not really a fun thing. I might want to just sleep for a bit after I’m done with this essay, just to see if that will help. I haven’t taken any naproxen nor have I drank as much water as I should or could. I drank some water, walked around, and assembled a disassembly plan for this next run. The reason I want to move as much as I can in my car is to retain the feeling of independence of being able to do it all, or most of it all, by myself. Maybe this anxiety and overall stress are based on worrying about people letting me down? That happened frequently when I was younger from friends, so it might be hard to break that, but if I trust in others and myself, it should be fine. Inspirations: Day two of moving. Photos: Shots of my bookshelves in various states of moving.